Carrie Scholz is a principal researcher at AIR. Scholz currently oversees the work of eight research alliances comprised of practitioners, policymakers, researchers, and other education stakeholders across the Midwest region. Scholz supports the alliances in their efforts to develop and implement research agendas addressing specific educational needs, questions, and problems of practice. Dr. Scholz directs a project funded by the Gates Foundation to study and support a district’s continuous improvement process focused on improving teacher effectiveness. 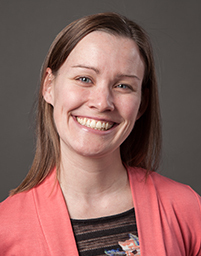 In addition she serves as a liaison to the Wisconsin Department of Public Instruction to update the State Education Agency on research funded by the Regional Educational Laboratory-Midwest and to respond to the state’s request for research support. Prior to joining AIR, Dr. Scholz worked at Learning Point Associates, where she managed research projects including a state-wide evaluation of full-day kindergarten, assisted in the design and completion of states’ research and dissemination efforts, conducted research syntheses, and communicated research results to policymakers and practitioners.